Prescott Valley is a town in Yavapai County, Arizona, United States, just east of Prescott. 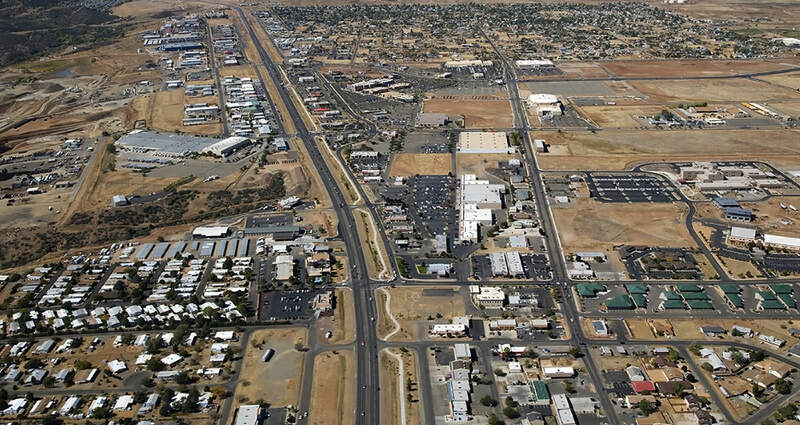 Prescott Valley was the seventh fastest-growing place among all cities and towns in Arizona between 1990 and 2000. According to 2010 Census, the population of the town is 38,822. Prescott was the location of Arizona’s first Elks Lodge (BPOE). In December 1895 a group of enterprising businessmen in Prescott, sturdy products of the early west, charted the original petition for a dispensation and later established the Prescott Elks Lodge #330. “Mother Lodge of Arizona” The Prescott Elks Opera House was built by the lodge in 1905. The Prescott Elks Lodge now located in Prescott Valley and has served the community for over 116 years. Prescott Valley is located within 10 minutes of the Prescott National Forest, with lakes, fishing, hiking and camping. The Entertainment District is located downtown and offers a variety of restaurants, a 6,000-seat events center, a multi-screen movie theater, and retail shops. Fain Park preserves remnants of early 20th century gold mining along Lynx Creek. The Arizona Sundogs Hockey Team has called Prescott Valley its home since 2006. The team won the Central Hockey League championship in 2008. The Arizona Adrenaline Football team played two seasons in the Tim’s Toyota Center. The Town of Prescott Valley is located in Yavapai County, Arizona and is located about 85 miles north of the City of Phoenix. Prescott Valley is a fast growing area situated between the Mingus and Bradshaw Mountains. Those considering investing or relocating to this vibrant city will find that it offers a range of options from affordable homes to custom properties, all while existing in a family friendly area. The Prescott Valley is known for being a growing community in an area with easy access to local attractions and natural recreation that are some of the best Arizona has to offer. Since the year 2000, the population of this town has grown by approximately 63.7% to what it is today at 38,555 residents, which shows potential in this attractive area. In Prescott Valley, one will find quality residential neighborhoods having well designed homes in flourishing communities. Prescott Valley is well served by convenient shopping, a quality education system, parks, hospitals, and numerous other public services available. The Downtown area of Prescott Valley is known for being a shopping district with many retailers, restaurants, a movie theatre and even a 6,000-seat events center for all to enjoy. Natural attractions such as the Prescott National Forest with its lakes, trails and wilderness are only 10 minutes away by driving. As far as education, K-12 schools in the Prescott Valley are overseen by the Humboldt Unified School District. The District ensures the schools deliver a quality education to all its residents, meeting the demands of tomorrow’s future today. Higher education is provided by a campus of the Yavapai College and Prescott University which are located immediately in the Prescott Valley. With quality schools, affordable housing, attractions and amenities serving residents, Prescott Valley Real Estate should definitely be considered. If you are in the market for a certain property style in Prescott Valley, then access the Featured Listings and MLS search options offered on this web resource to find homes. Look for Prescott Valley homes for sale in the location of your choice, sort by home options, zip code, basement, home size and other features. Get to know the area as well, learn much more area info Prescott Valley by accessing demographics info in Prescott Valley and its neighboring areas, find nearby schools and other data.